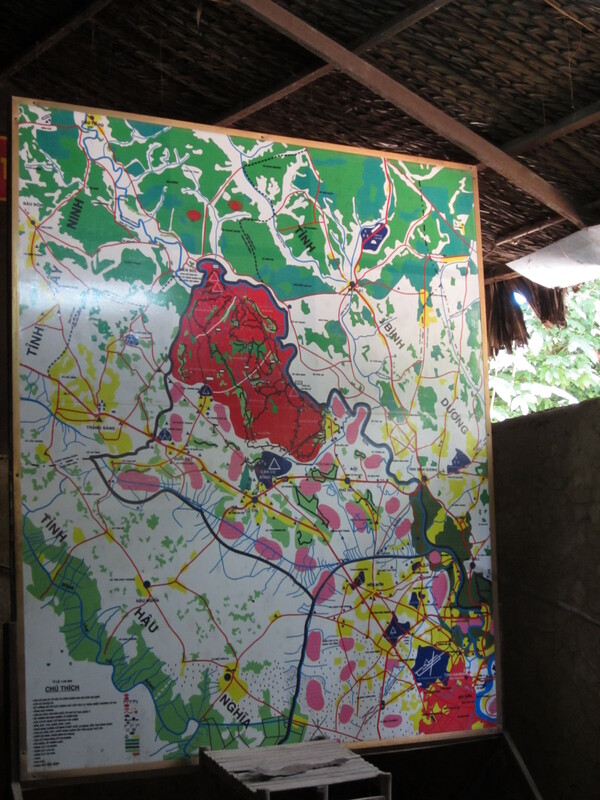 I must admit, the private tour of Cu Chi, which was one of the largest and most complex VietCong strongholds near Saigon was the best explanation and understanding of the battles between the US military (and the ARVN) against the guerilla militants. It was amazing to see how close and how large the tunnel complexes were…and all the challenges that the forces faced in attacking each other. 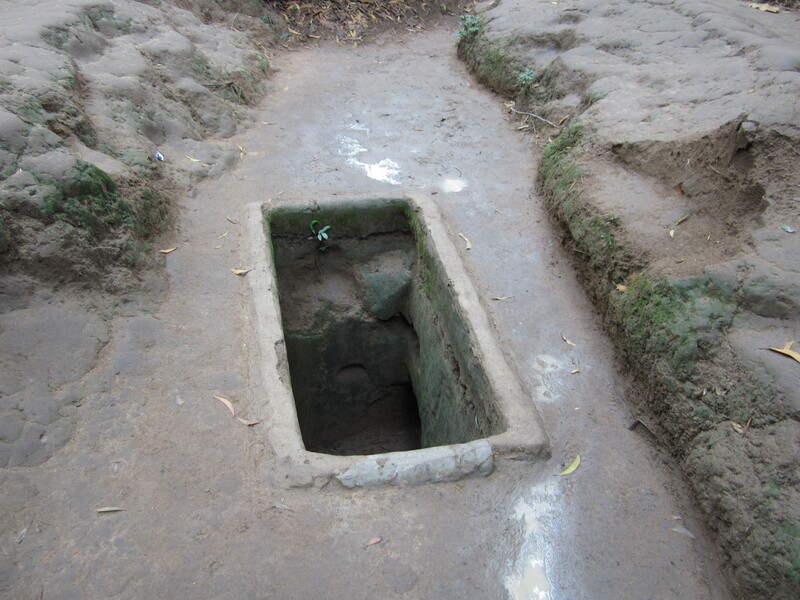 The historical site is officially run by the government. You have to watch their propaganda firm first. 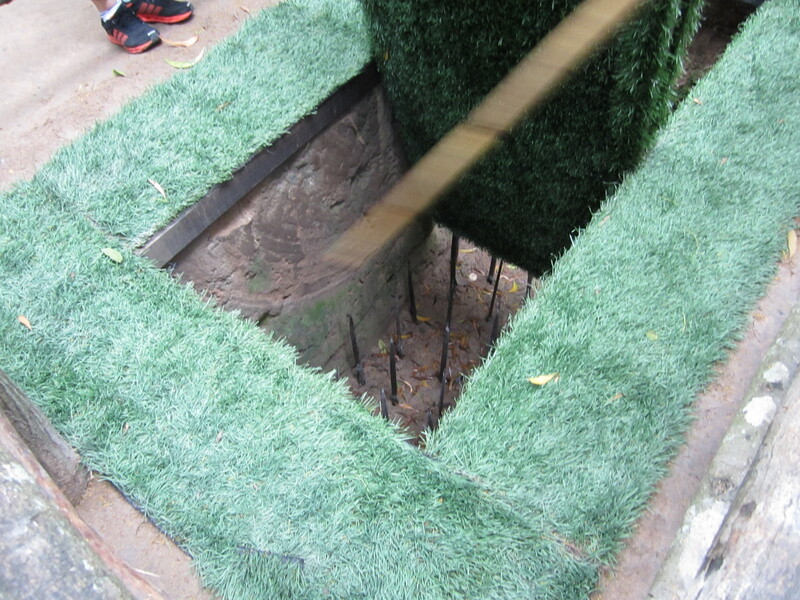 And they had detailed mockups of all the booby-traps, IEDs and other (killing) methods they used in the jungles. 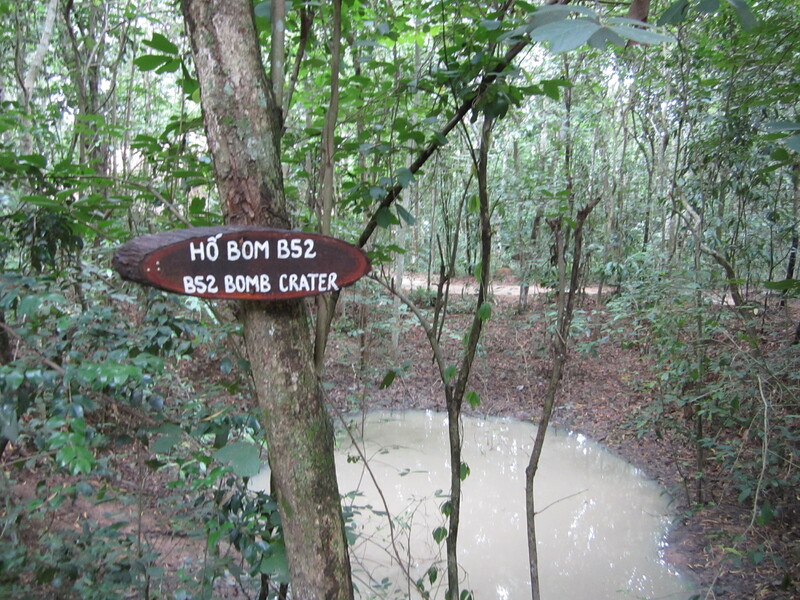 You could see remaining 500lb bomb craters from the US bombing of the area. There were a lot of them. Apparently over the past 40 years the jungle has grown back, but this whole area was devoid of any vegetation from the napalm and Agent Orange. 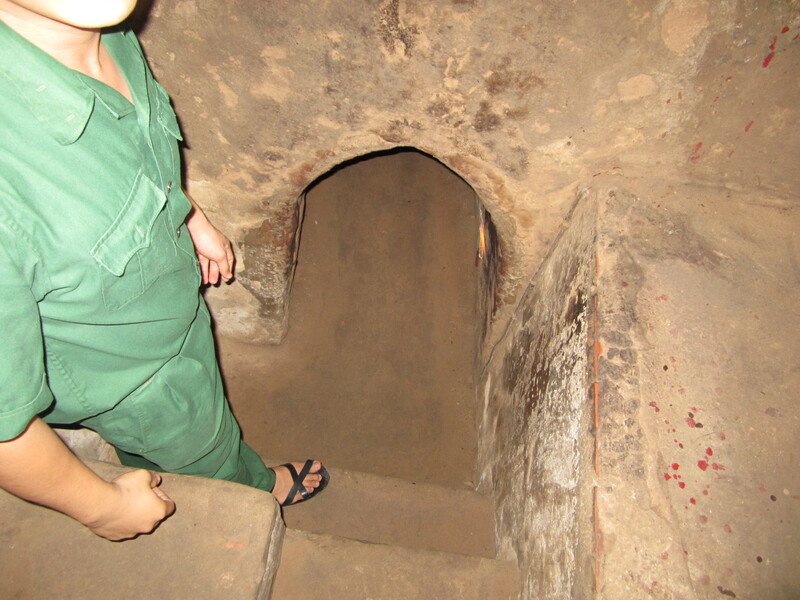 Yes, you can go into the tunnels. You can go up to 100 meters. Yes, it is dark, and boiling hot (40 degrees). 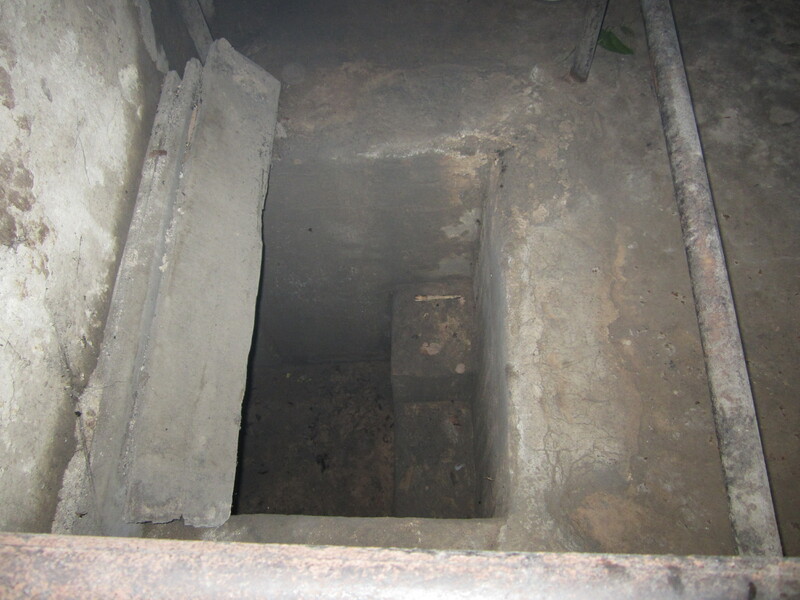 And if you are claustrophobic, it would be brutal. 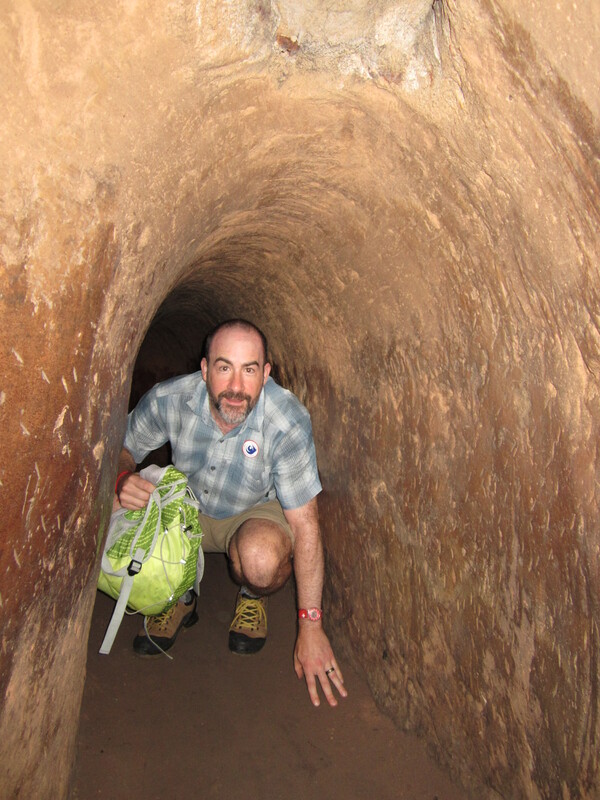 I was lucky to survive…and these tunnels were widened so westerners could crawl through them. It was quite an experience. 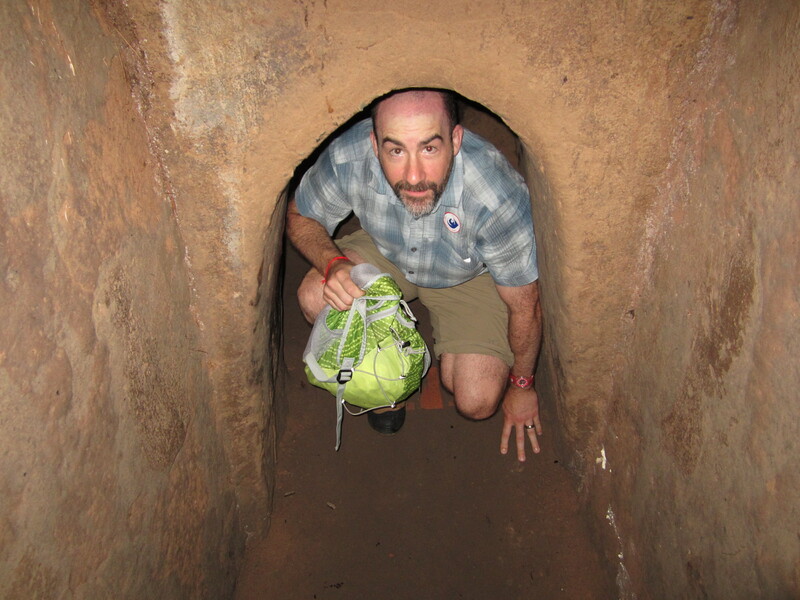 I know understand what the tunnel rats had to face. 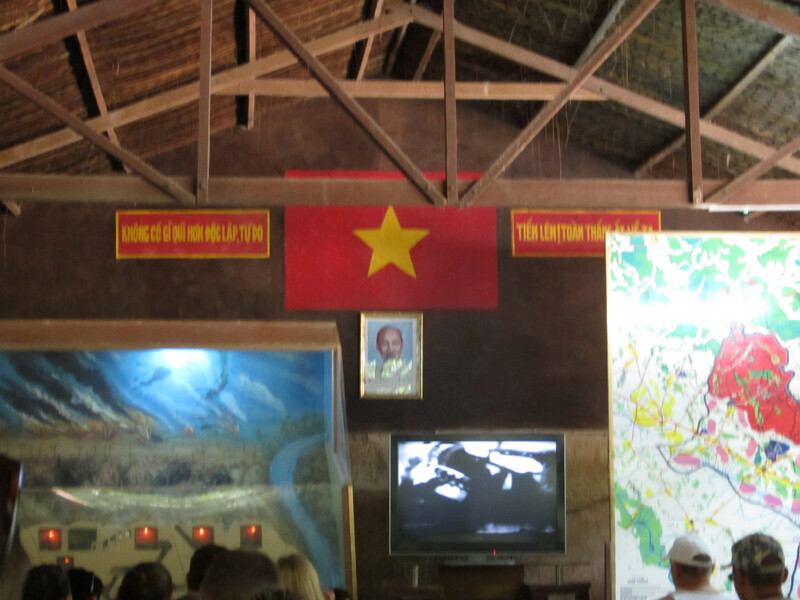 My guide’s father was in the ARVN during the war and he was required to spend 3 years in a “re-education camp” before he was allowed to return home (after the fall of the government in 1975). 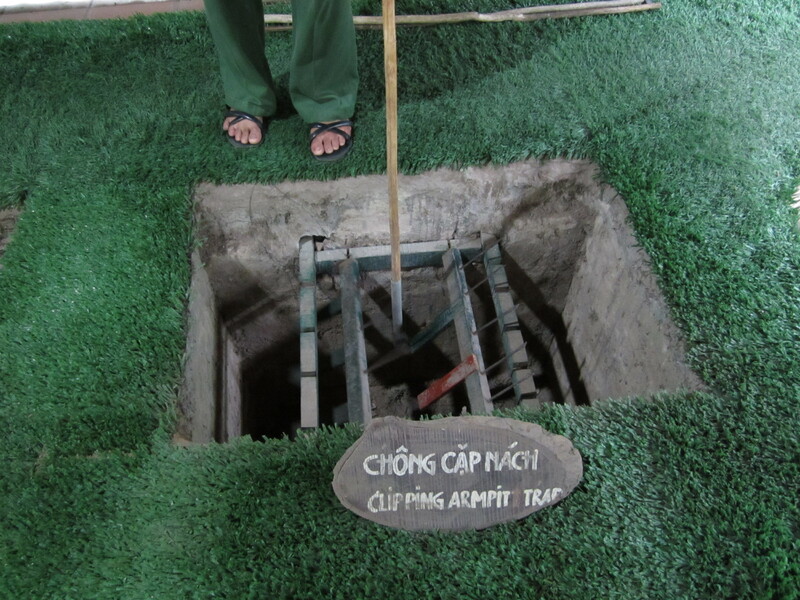 This entry was posted in International, Travel, Uncategorized and tagged Museum, Travel, Vietnam. Bookmark the permalink.